1946 - the carnage of war still remains. One church gives evidence of its destruction, its broken shell allowing the past into the present. Droven was once a part of our shores and swamped by the sea in centuries past. Its masters now intend to be resurrected into all of Anglia and beyond. This is a story of childhood memories, of adventure, war and valour. Of love and compassion, good over evil as seven children find a way to this evil past; a journey entrusting them with an impossible task which brings them to maturity and away from childhood things. To any who may recall or have read about the post war years one will know of the hardships faced in those times. Children had a playground of bombed out buildings, imaginations enough to write several books. This story is a mix of fact and fiction. The heroes are based on childhood friends and, apart from Edna and Dennis, I have changed their names. I have not given the main characters too much detail, relying on each reader to add their own impression. Edna is my sister, my pride and joy, and always will be. Pakefield and its church stand today as it has for ages and is mentioned in the doomsday book. The shore that runs out from the boundary of the church, now a few hundred yards, once spread for over two miles. 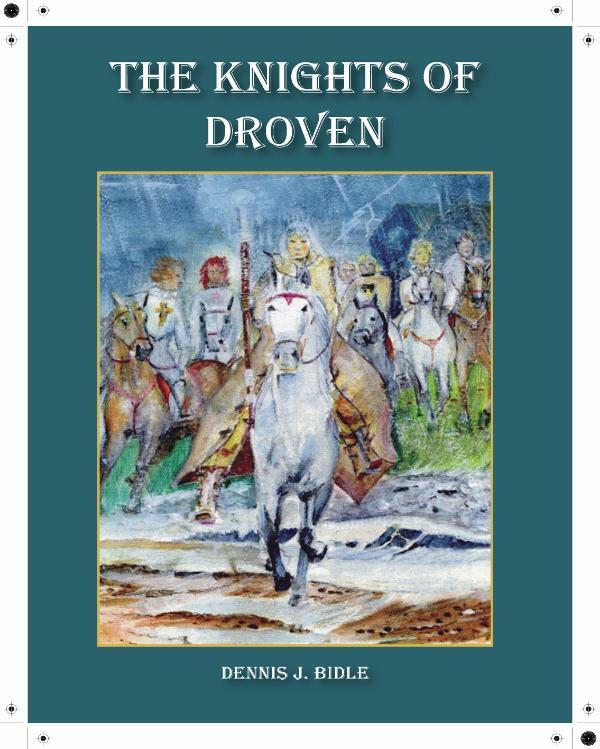 Droven is in all parts fiction although the shelters to its doorway existed until only a few years ago. In writing the book I was surprised to find how close I came to local myths or old sea-farers tales, the flooding of Dunwich just up the coast is a matter of fact and its bells have been known to sound under the waves. Crazy Mary still haunts the cliffs and in the past a floating Inn with lights blazing has been seen by fishermen.